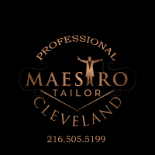 Finding that perfect suit for your big day can be a daunting task, but finding a tailor to custom fit your suit should not be. we are not here to look good,we are here to make our clients look good. Nothing says style more than a bespoke suit. A custom made suit is made specifically for your body.